I loved Bethany Griffin's other books, Masque of the Red Death and Dance of the Red Death (click for my reviews). I'm so happy she's re-imagining another of Poe's tales! The Fall of the House of Usher has always been among my favorites and I can't wait to see how she'll tweak and twist the story. And since I've got an eARC, I don't have to wait, hehe. 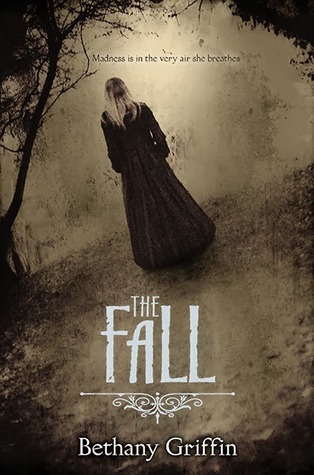 Have you heard of The Fall? Do you like the sound of it? And what are you spotlighting this Wednesday? This sounds really interesting! I'm definitely putting this on my tbr pile. Great pick. I love creepy books and this one seems right up my alley. Thanks for sharing. I have a copy of this one, and I hope to read it soon. Hope you enjoy it. Great pick. hahah you beat me to it! Your post here ^^ has been open since this morning but I've been power-multi-tasking, cleaning, cooking, phone call from my mom and blog...just sat down to comment and saw you hopped by :) Thanks! Oh and AWESOME PICK! Even though I was underwhelmed by MotRD myself but I adore Poe and retellings so I'll give her another chance xD I hope you LOVE it and I can't wait to read your thoughts on it! Creepy cover! I'm not sure if this book would be for me or not but maybe I should consider it!